The embedded email functionality in IBM Notes applications is lost when IBM Notes users migrate to Microsoft Outlook. 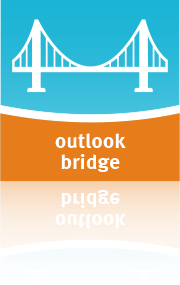 The holistic outlook bridge resolves this problem and ensures that email functionality is maintained in direct use with Microsoft Outlook. 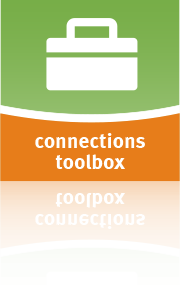 Extend and optimize IBM Connections using tools by holistic-net. Is your company using IBM Connections for collaboration, communication and information sharing? Do you want to get the most out of the software, continuously improve your workflows and ensure the best possible knowledge transfer for your team (and project work)? Are you constantly changing and adapting the platform to the needs of your employees and the development of your company? Using the products of holistic-net GmbH you can achieve all of the above. Optimize your use of IBM Connections now! The content is exported as static HTML including images and attachments. Standard security measures are mantained as user credentials are used! 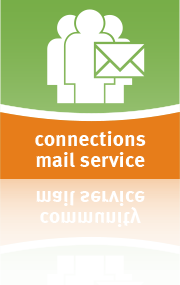 The holistic connections mail service allows IBM Connections communities to receive mail. The mail text is used to create a blog entry and files are stored in the community app “Files” and linked in the blog entry. Providing information to members of an IBM Connections community is fast and easy. Manage who and what you follow in IBM Connections! … different sorting options enable you to efficiently find content. … old items can be removed quickly and simply from your following list. 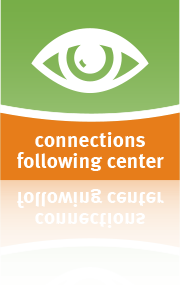 … content can be opened directly in IBM Connections. Use this tool with our support for creating assessments to use as a foundation for a data migration. Administrate and configure your entire company wide Domino / Notes application environment quickly, efficiently, cheaply, and transparently. Automatically calculate your IT costs and link them with cost calculations . 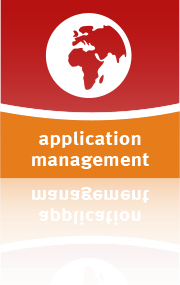 holistic application management combines an application’s technical data, which is periodically and dynamically imported, with meta data, which is partially generated automatically and partially inputted manually. This information can be made available to many target groups in a company wide information portal. 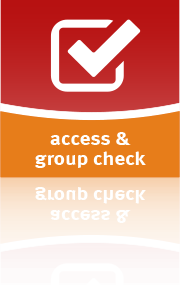 holistic access & group check feeds necessary data into memory and works based on the memory data. As a result, a log document per application is created for each user/group, in which the “effective access” and the definition base for this access in the ACL are shown. Output tool for researching the access rights of groups, people and certifier across all applications. Agent set for researching miscellaneous group problems in N & A, representation of complex groups, finding people without person documents, search for failures of the AdminP and much more. holistic desktop process covers a great deal of administrative tasks concerning the Notes client desktop during the course of updates, migrations, consolidations, and similar processes. 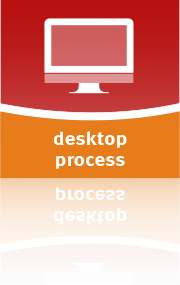 The holistic desktop process can be triggered in different ways and covers mailing modifications and the application environment. In standard environments the modifications performed relate to the Notes.ini, DESKTOP. *, bookmark.nsf and the personal address book. In projects, the product will be adapted or supplemented to customer-specific requirements. Logging allows convenient monitoring of the migration process and provides installation details. Design Problems: The Hunt Continues - or does it? 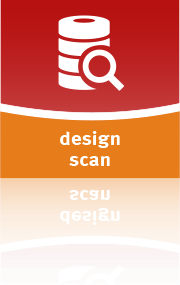 holistic design scan is used for scanning, analyzing and evaluating large amounts of Notes applications in a continuous highly efficient process. Define and quantify necessary design changes in applications before change processes occur. In preparation for projects which affect the companies infrastructure, certain questions must be answered which most companies cannot easily answer: e.g. Which IBM Notes client releases are used? Which operating systems and versions are used? Which devices are being used to access IBM Notes? Project Management teams need the answers to these questions before IBM Notes Infrastructure Projects can begin. The answers to these questions may need to be answered generally or globally. holistic client info collection delivers the necessary information from as many users as needed to a IBM Notes database. A simple button is sent to selected users via Email. Since these emails are sent by the application, it is possible to see which of the selected users have delivered the needed information. 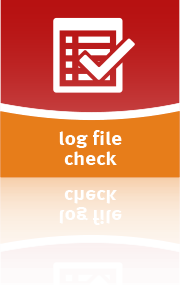 holistic log file check is a small smart tool which in certain cases can make the use of large powerful Domino monitoring tools superfluous. The Domino Server Log contains a flood of messages which, in practice, makes it hard to single out single bits of needed information. Special messages which are logged by application are often incorrectly interpreted by Admins. search the log for specific messages. The holistic server log check maintains any number of configured searches in the LOG.NSF or other databases for strings (text). The search is made as efficient as possible by increasing the search incrementally. Documents that were already searched are not searched again thus limiting the data that needs to be parsed. The concept of the tool is generic. It is generally possible to define any search in other databases which possesses a similar character to the LOG.NSF.